One of the most important tax advantages for military personnel is the filing extension available to soldiers who are on active duty overseas. The extension allows the soldier and his family some flexibility in filing and paying taxes during active service. Military personnel, especially those in active combat zones, have several tax advantages available to them. One of the most important is the filing extension available for those soldiers who are on active duty overseas. The extension allows the soldier and his family some flexibility in filing and paying taxes during active service. A combat zone, as defined by the Internal Revenue Service, is an area of the world that has been designated by the president of the United States by executive order as an area of conflict in which the armed forces are actively engaged. According to Michael Devine, a media relations coordinator for the IRS, "Everyone should try to file by the deadline, but the IRS automatically extends some deadlines and actions related to federal income tax for U.S. armed forces personnel serving in a combat zone and those deployed overseas and away from their duty station in a qualified hazardous duty area." Military personnel working in these combat zones can defer filing their income tax returns and paying their taxes until 180 days after the end of their active service in the zone. If they have been hospitalized due to injury or disease from combat zone service, they have up to 180 days after the last day of continuous hospitalization to file or pay. The extensions also apply to spouses of active combat zone personnel who are filing jointly. There are also some engagements, identified by the secretary of defense as contingency operations, that also qualify for this extension. Contingency operations are generally national emergencies or a declaration of war resulting in the calling up of uniformed soldiers. If you serve outside of the United States, but not in a combat zone, you may also be eligible for tax filing extensions. If you are a member of the active military assigned outside of the United States or Puerto Rico, and are on assignment for the entire 24-hour period of the tax filing deadline, you are granted an automatic two-month filing extension. Note that this is an extension to file, not to pay taxes. Any tax you owe is still due on April 15 or the next business day if the 15th is a holiday. You can also file for a six-month extension to October 15, as can any U.S. resident outside of the country, but this also does not apply to paying taxes, which are due on April 15. Although exemptions for combat zone soldiers and active military overseas are granted automatically, they still require you to submit IRS forms to request an exemption. If you are filing for the two-month extension for active overseas personnel, you must file a statement with your return proving that you were on active overseas duty during the entire tax filing deadline date. If you are claiming the 180-day filing and paying extension for combat zone personnel, you can either contact the IRS to let it know of your status at combatzone@irs.gov, call the IRS or respond to a notice of action from them. If you are filing a general 180-day filing extension for being out of the country, file Form 4868, Application for Automatic Extension of Time to File U.S. Individual Tax Return, before the original due date of your return. Devine recommends: "If your spouse is deployed and you have a power of attorney (Form 2848 or a document with similar information), submit it with your return. You may also sign on your spouse’s behalf and attach a signed statement to your return that explains that your spouse is in a combat zone or qualified hazardous duty area." Military personnel may also have access to other tax perks. 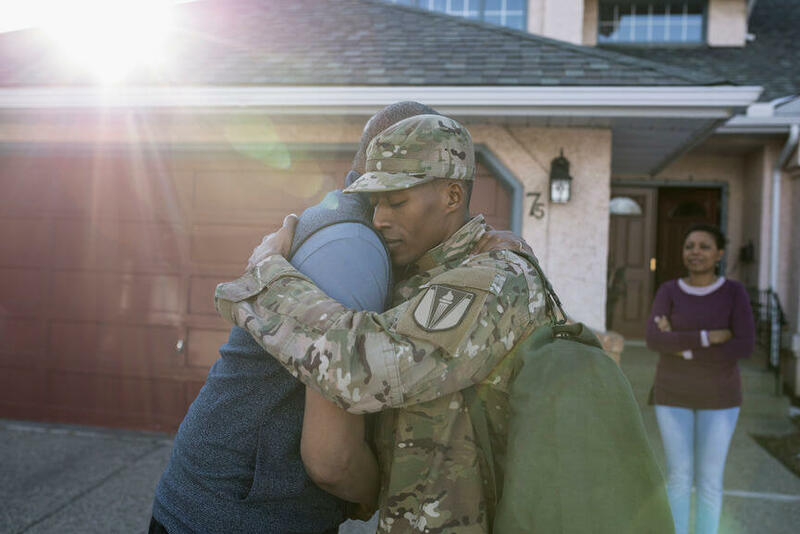 There are several types of military compensation and other benefits that are not subject to federal income taxes, and some can be included in income for tax credit and IRA contribution purposes. Some examples include combat zone pay, disability pay for active duty, some moving expenses, and living allowances. Also, tax debt may be forgiven or refunded if a member of the military dies in combat zone, or from terrorist activities or other military action. If you are in the military, consider reviewing the IRS tax booklet, "Armed Forces' Tax Guide," before filing your taxes.